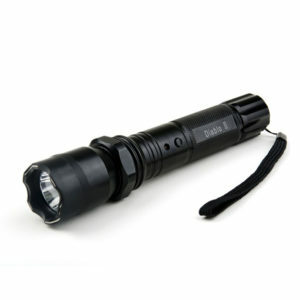 Are you prepared in the event of a dangerous encounter while you are jogging or running? 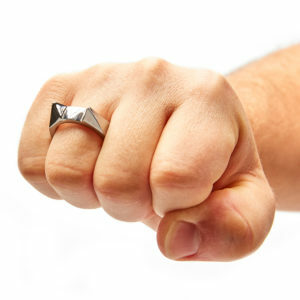 If so, do you carry a self-defense weapon with you? You are at risk when you are alone and in dark or poor lighted areas in today’s society. It is a fact that crime happens every day and it may come when you least expect it. Evil people may see you as an easy victim when you are already tired or winded. Furthermore, there are threats of dog attacks along the way. 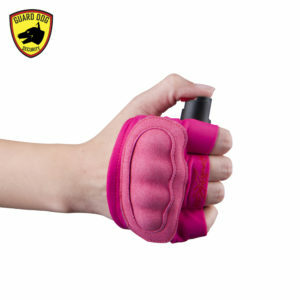 It is best to prepare yourself enough beforehand with effective non-lethal personal protection weapons that you can use to protect yourself. 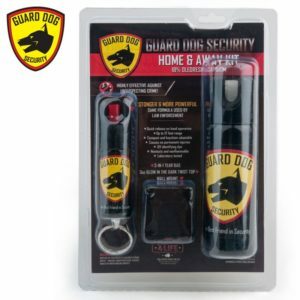 Fortunately, we have a range of personal defense weapons to cater to your needs. 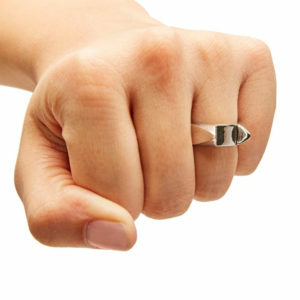 Here are just a few choices of self defense weapons that are good options for runners and joggers. You are vulnerable to many threats when you are out for a run early in the morning or evening, especially if you are alone in today’s society. 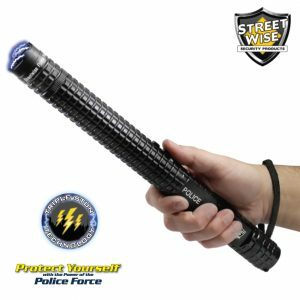 In addition to making smart choices on where you run, it is more important than ever to carry a self defense weapon for you to be prepared if something happens. You may prefer to take a handgun as your defense weapon, but you need a permit to own one, and it comes with a great responsibility as one mistake may cost your life or someone else’s life. Additionally, a handgun is illegal for civilian use in some areas in the U.S. and not lightweight. 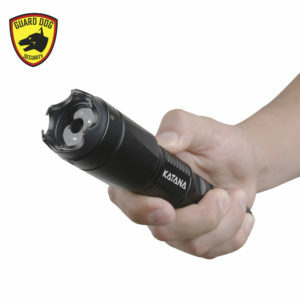 This is where non-lethal self protection weapons come in. 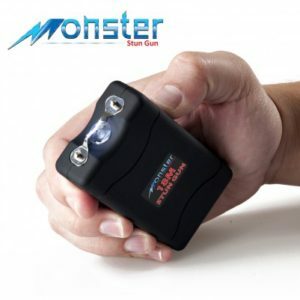 We have range of non-lethal self defense items for you to choose to have an extra peace of mind knowing that you have a level of protection. 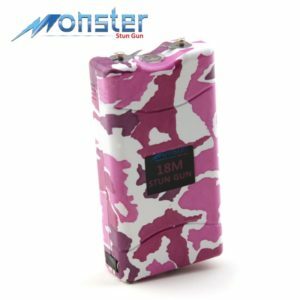 Below are some of the best lightweight and non lethal weapons you can consider using when you are outdoor for jogging or running. 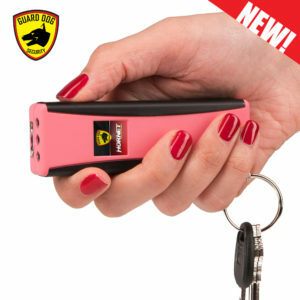 Keychain Pepper Spray. 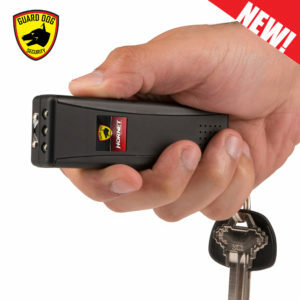 One of the best self defense products you can arm yourself would be a keychain pepper spray. 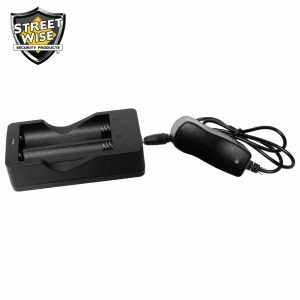 When use with proper training, it is highly effective at disabling a would-be attacker, giving you enough time to run into safety. 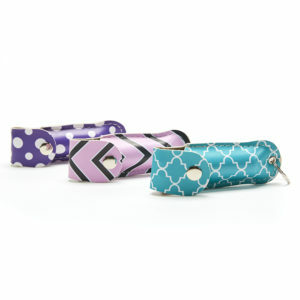 We have pepper sprays that are effective from 10 to 35 feet of range. 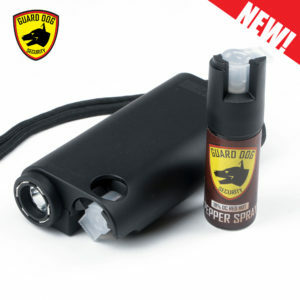 Another good thing about keychain pepper sprays is that they are very lightweight, which is best for runners and joggers. 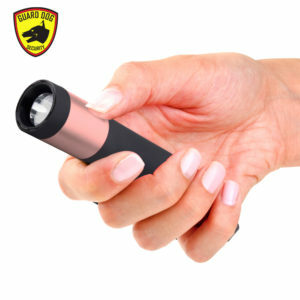 Stun Flashlight. 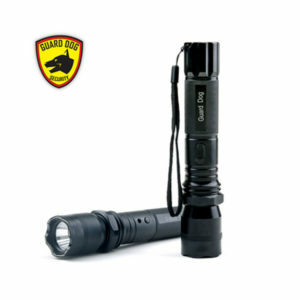 If you love running outside at nighttime, a flashlight can help your visibility in dark or poor lighted areas. 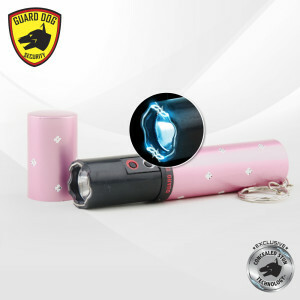 A stun flashlight would give you not only light but also the capability of stunning. 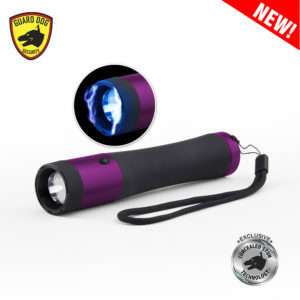 The bright LED light could also distract the view of the attackers. 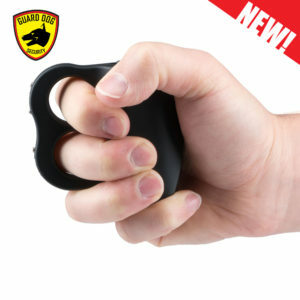 The volt-thrashing function of this self defense product can disable your attacker. 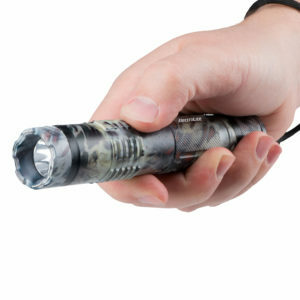 Bringing a stun flashlight with you as your self defense tool can keep you safe, considering you have a few ways to use it. 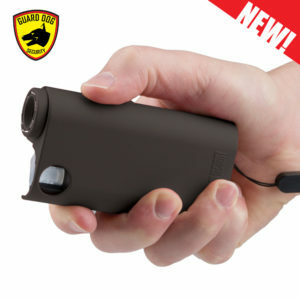 Dog Repellent. 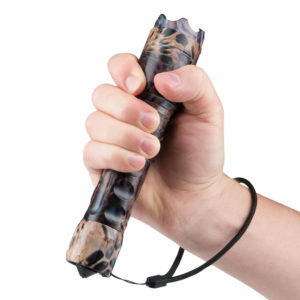 If you found yourself with an unleashed dog, you’ll likely wish you have something on you just in case the dog attacks. 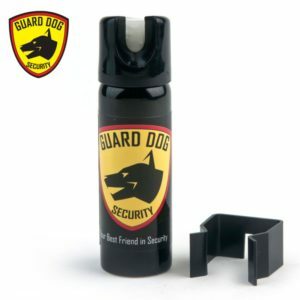 A dog repellent is a safe and humane personal defense weapon against unfriendly dogs. 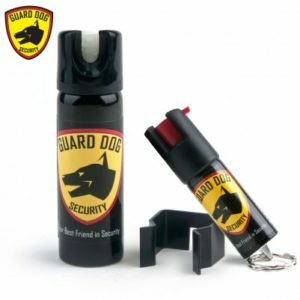 When activated, the personal protection weapon produces a very uncomfortable high pitched sound for dogs that isn’t harmful in any way. The sound, which is only audible to dogs and not humans, will cause the dog to go away from your track. 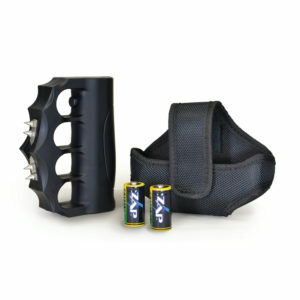 Keep yourself safe when out running or jogging with our collection of best self defense equipment. Choose the one that suits you best and your lifestyle.